I apologize for not being in contact with you via this newsletter for the past several weeks. We’ve had a lot going on. We’ve spent a lot of time developing a universal audio / video downloader. In other words a product that can download any audio or any video from any website. Period. The windows version of this product is done, and below you will find more information about that. At the same time, there are some issues related to YouTube that I need to tell you about. Two things have happened recently that concern us. Once is that Google has terminated one of our Adwords accounts citing the downloading module as the cause. Even more recently, within the past week, Google has sent a cease and desist letter to a company that sells a YouTube Downloader application, similar to what we provide in Song Surgeon. With development of Version 5 already underway, we are reconsidering the future of the downloading module in Version 5. While it is a popular feature, it is not the main reason the product was developed. In fact the first two versions of Song Surgeon did not contain this module. SS was developed initially as a key and tempo change tool, and today, almost 10 years later, that continues to be its focus. Assuming we were to remove this downloading module from Version 5, the older versions (3 and 4) that contain this module would not be affected. Any such change would only apply going forward. Co-incidentally, over the past year we have been working on a new downloader product, one that can download any audio or any video from any site. With the aforementioned activities going on, it is fortuitous that we have developed this new product, Download Surgeon, because it will enable us to isolate all of the download functionality in a single product, thereby shielding our main products, like Song Surgeon, from any adverse affects. 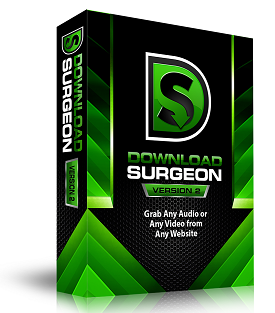 Download Surgeon is our audio/video downloader that has been around for slightly more than a year. Its downloading capabilities are similar to that found in Song Surgeon Pro. Download Surgeon Version 2 has significantly enhanced capabilities. This new product enables users to grab any audio or any video from any website – no exceptions. It’s a game changer. No more wasted time trying to find a way to grab or download something, only to look at your watch and find out you’ve just blown two hours with nothing to show for it. In addition to it’s ability to allow you to grab almost any A/V file, it will allow you to save, as either audio or video, in the most common file formats. That means it will be compatible with your phone, tablet, iPad,iTunes, Google Play, etc. This includes the ability to strip audio from video files that you may find. The version we are releasing this week is for windows. Though both Mac and Windows versions went through beta testing together, there were more issues in the Mac version, so we elected to launch the Windows version first – and then go back to the Mac version. And this week, as we launch the Windows version, we are resuming work on the Mac version – with the goal of having it available within a month. If you buy Download Surgeon today, during this special launch period, you’ll get a $30 discount plus an additional $39 of bonuses. That’s a total value of $69 — more than the cost of the product. Each year we select a charity to donate money to, and ask for your support and assistance in that endeavor. This year the organization we have selected is called Hope for Haitians. 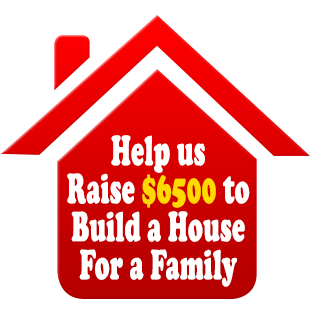 This is a group that among other things provides housing to the poorest of the poor in Haiti. Many of you will remember the devastating hurricane that leveled much of the island a few years back leaving many people living on the street or in a make-shift shanty. This is just one last reminder that we have a free mobile app called Song Surgeon Trainer. This app has basic key, tempo, and looping features. It does not have the more advanced features of found in the desktop version of Song Surgeon. As for Song Surgeon, I love it. It is very good for helping me figure out guitar lead solos. Based on what I see of the next version, I would consider buying it if the upgrade price is affordable. For now though, I want to thank you for Song Surgeon. I have Version 4 for Windows and it is a great product. I do my leg work on my laptop in the family room and thanks to your multiple & quite flexible licensing arrangement , I can use my resulting files to help me work on the song upstairs on my hobby room computer. (I used to call it my Studio but I found out that to serious musicians, the word “studio” means something a lot more sophisticated than my hobby room). I’ve probably thanked you for this great product in the past but I will take the time to thank you again. I’ve worked in the computer business for 33 years and I’m so tired of the lack of innovative software. With the exception of games (that I’ve lost interest in), most new software consists of upgrades to existing products. Many of the upgrades are forced upon us because Microsoft licensing forces hardware manufacturers to use their latest OS, so everyone else has to make sure their product runs on it. This results in those companies dropping support for the older operating systems which results in a lot of people spending money and getting no real benefit from it. (Apple is also guilty with their IOS upgrades and app compatibility). I plan to stay with XP and Windows 7 for a long while, so I hope you do not drop support for XP. Take care.